The giving of Dhamma Service, whether in a course or in some other way to help in the spread of Dhamma, is one of the most valuable experiences a student of Vipassana can have. Not only it is rewarding to know that you have helped others to taste the Nectar of Dhamma, but it also is a wonderful source of growth and strength in one's own development in meditation practice. In daily life, there are many ups and downs. To maintain equanimity and to generate love & compassion despite these vicissitudes is the training of Vipassana. When Vipassana meditators give Dhamma service, they learn in a healthy atmosphere how to apply Dhamma in life. This is a training ground for each server to learn how to live a good life. 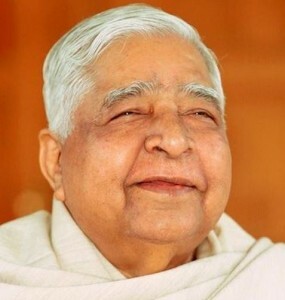 Any student who has successfully completed a 10-day Vipassana Meditation course with Mr. S. N. Goenka or one of his assistant teachers, and has not practiced any other meditation techniques since their last course. There are different ways to give Dhamma seva; by serving courses full time/ part time, by visiting center for some time & serving as per instructions of course manager or by participating in one of the projects at the center. Currently, Center is in developing stage & various activities are going on for benefits of students. Construction of pagoda, lift & tree plantation are prominent activities. To serve a ten-day course is a very special kind of service. We all find this an invaluable tool for strengthening our own practice as well as helping others get the Dhamma. And for those of us with less time available, even serving a portion of a course is a wonderful experience. It is a time when center prepares to welcome new students of the next course. There are a variety of things to be done during this time to set up for the next course. Most importantly, it is a nice time to be at the center, meeting other meditators and reinvigorate your practice. It's a great way to get to know the center & to give service in a low key way that supports strengthening your practice. Long-term Dhamma service is for those who wish to develop their practice by serving for longer periods of time. It gives students the opportunity to bring depth and maturity to their meditation practice by integrating what they have learned during courses and applying it while serving. Students will learn to serve properly with an attitude of humility and renunciation. This extended period of service provides a great opportunity to deepen one’s practice as well as helping the center to run smoothly. For more details please email us at dhammaseva.vipula@gmail.com.